The Admin Page in WordPress is somewhat minimal with the options of entering username and password. You can customize the WordPress Admin Page by adding your logo. You can make your wordpress admin page look cool by adding your custom logo to the login page inspite of displaying the default wordpress logo. Add Logo to Admin is a wordpress plugin which allows you to spice up your WordPress Admin Page with your blog logo. It allows you to upload your Logo which will be shown up in the WordPress Admin Page of your blog. I really liked this plugin and I am currently using it. 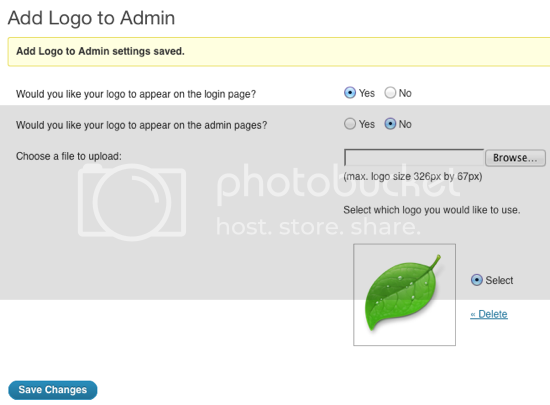 It also displays the uploaded logo in the WordPress Admin pages if the option is selected in the Plugin. Yup, Plugins decrease the blog loading speed. I will post the alternative method for adding your logo in WP Login Page,till then keep visiting DesignSkew.